I have found myself procrastinating a bit too much for my liking recently. I’ve been playing FFXIV since not too long ago and it’s eating my time away efficiently. I must admit year 2015 was very exhausting for me. 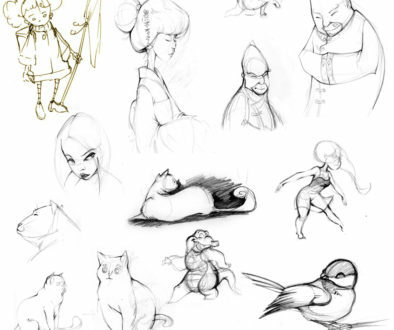 Lots of great new experiences and lots of drawing (that comic I keep talking about I will show you eventually). And I have this new job as story artist that is, at the same time, one of the best thing that happened in my career and the biggest energy syphon since my school days. Which is great! I learn so much stuff thanks to my awesome co-workers! But my energy level at the end of the day is comparable to a mollusk. So I crash in that FFXIV like there is no tomorrow. All that said, instead of procrastinating today, I made a quick drawing about my procrastination. 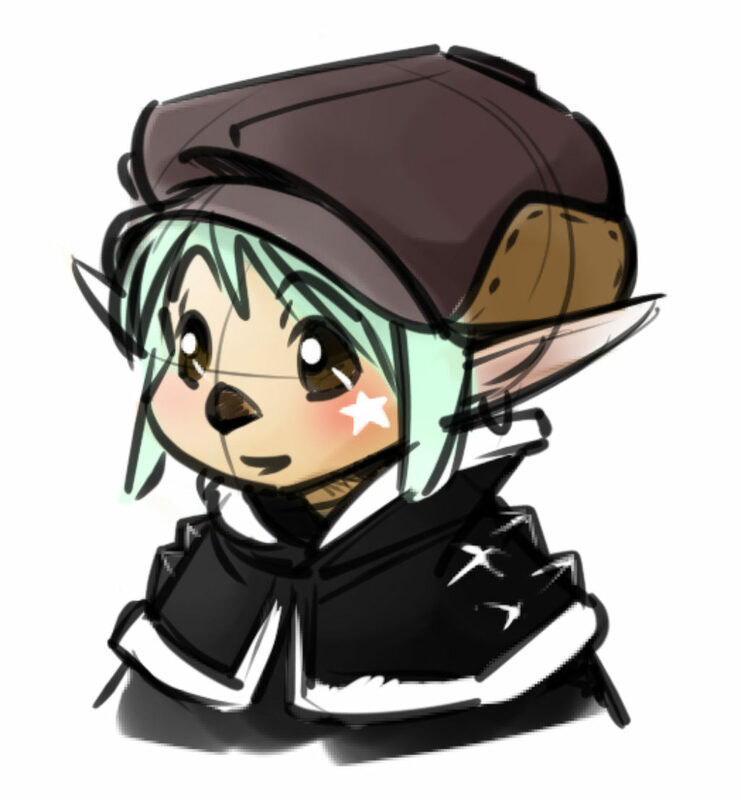 Here’s a little portrait of my lovely Lalafell character. Her name is Leoni Teno. If you ever meet her out there, tell her to go back to her drawing table. She is the culprit!! !